Review Summary: Although it requires patience from fans of their debut, this is a wonderful follow-up from the reinvented Pure Reason Revolution. When Pure Reason Revolution released their full-length debut The Dark Third in 2006 they were met with heaps of praise from both music critics and many of the people who discovered and listened to the album, few as they were. They drew frequent comparisons to fellow British bands like Muse, Porcupine Tree and Oceansize and were widely considered to be a breath of fresh air for progressive rock, which is often seen as an ironically stale genre. The music of The Dark Third combined and contemporized the styles of 70’s prog, especially Pink Floyd, and early 90’s alternative rock and struck a good balance between catchy hooks, hard rocking and a trance-like feeling (which suited the album’s “sleep” theme). Over the next couple years they kept busy by touring with Blackfield, releasing an EP and then a live album. Now, almost three years since the release of The Dark Third, they have released their second long-player, Amor Vincit Omnia. Naturally, it is an electronica album. On The Dark Third electronics were used to fill out the album’s sound and enhance its spacious feel; here they are brought to the forefront while the guitars take a back seat. The change is drastic and will certainly catch anyone familiar with their debut off-guard. Unfortunately, many fans of The Dark Third will likely label them as “sell-outs” or other such nonsense, but it is unfair to condemn the band too much for this decision. A lot of the changes in the band’s sound almost certainly have to do with the changes in the band’s lineup. Singer/guitarist Jon Courtney and singer/bassist Chloe Alper are the only original members of the band still remaining. Original guitarist Greg Jong, drummer Andrew Courtney and keyboardist/violinist/bassist/programmer James Dobson have all left and were all important in defining the band’s sound on their earlier works. Jong and Courtney have since been replaced by Jamie Wilcox and Paul Glover, but Dobson was not and the band has stayed a quartet since. The band wastes no time in introducing their new style. AVO opens with “Les Malheurs,” which is driven by heavy synthesizers that sound straight out of the 80s, features no guitars, and is as initially jarring as it sounds like it would be. Once the second chorus rolls around and the listener has accepted the new sound though, it’s hard to dislike the bubbly, infectious song and the lovely vocal interplay between Courtney and Alper. The good times continue to roll on the second track, “Victorious Cupid,” another stand-out and the track that will likely satisfy both new and old fans the most. It is one of the most aggressive and succinct songs that the band has recorded, but it also possesses the kind of hook that gets stuck in your head all day and just won’t leave, even after you listen to it over and over again. After these first two tracks though, the rest of the album is less immediately accessible, with one wonderful exception in “Bloodless.” “Bloodless,” which leads off the almost entirely electronic second half of the album, is fairly simple for the most part, but it’s also ridiculously catchy, oddly sweet and includes possibly the best use of the band’s trademark repetitious vocal harmonies of any song on the album. As I mentioned, upon one full listen through to this album the aforementioned songs are the ones that stand out most, but with repeat listens and some patience some of the less initially enjoyable songs reveal their charms. First single “Deus Ex Machina” is a good example of this: it’s an electro-rock song that sounds like Kasabian meets The Music, and combined with some silly lyrics it actually sounds a little stupid at first, at least compared to their other songs. The more you listen to it though the more surprisingly likable it becomes, from its heavy riffing to its constant and relentless pace changes and Courtney’s speedy vocal work. It may not be the best choice for the first single, but it deserves its spot on the album. “The Gloaming” is similarly difficult as first, running nine minutes long and seeming tedious at best. While it probably could have had a minute or two cut and been improved, the song has subtle twists and turns that are just enough to keep things interesting and fun for the majority of its duration. The album isn’t entirely without fault, of course. “ii) Apogee iii) Requiem for the Lovers,” the only prog song on the album, as well as the abbreviated title track that closes the album both rely on their energetic second halves to excuse their lackluster first halves. The former might be touted by fans of The Dark Third as the best thing here, but in reality it’s a decent track at best and the vocals don’t always mesh entirely well with the music. Also, “Disconnect” is a frontrunner for the title of “Worst Pure Reason Revolution Song” simply because of the irritating synthesized vocals that dominate most of the song. With this element removed, it could have been a fairly enjoyable track. One final and slightly unfair criticism is that Jon Courtney sings the overwhelming majority of the vocals on AVO, whereas he and Chloe Alper split duties pretty evenly on their debut. His voice isn’t bad or unpleasant, in fact its frailty works to his advantage on certain songs, but Alper is clearly the better singer of the two and was a key reason why songs like “Goshen’s Remains” and “Bullitts Dominae” from The Dark Third are so good. Overall, Amor Vincit Omnia is slightly less consistent and has fewer “wow” moments than its predecessor, but it’s just as dense and meticulously constructed and adds a handful of great new songs into the band’s catalogue. Also like The Dark Third, this is a grower in every sense of the word and one listen simply isn’t sufficient. If nothing else, it makes the anticipation for their next release high. 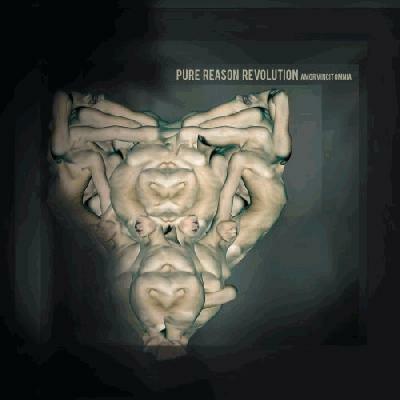 Will they continue down this path" Go back to progressive rock" Try their hand at another different genre entirely" Two albums in, Pure Reason Revolution have already moved past being promising and have solidified themselves as one of the most interesting and exciting bands in the business. My first review in over a year, I had to edit it a lot as my opinion changed. This went from a 3 to a 4 as I wrote it and listened to the album more, so I hope it doesn't seem too negative. also - "Once the second chorus roles around and the", maybe its supposed to read 'rolls around'? Thanks for pointing that out. The Dark Third is probably one of my three favorite albums of 2006, so at first I was seriously disappointed by this. Give it a few listens, if it doesn't grow on you at all then it probably just isn't for you. this is the first sensibly rated review of this album i've seen. Thanks, I've only read a couple of review for this, one was a 10/10 and the other a 4/10, I didn't think either was reasonable. On The Dark Third electronics were used to fill out the album’s sound and enhance its spacious feel; here they are brought to the forefront while the guitars take a back seat. Ha, I figured if there was one person on this site who would really appreciate this album it would be you, Trey. Thanks for all the pos's guys. good stuff, beat me to it... i rate this .5 beneath dark third. nice review/ good job with getting featured. I've also got it .5 below. First featured review, sweet! Ha, I figured if there was one person on this site who would really appreciate this album it would be you, Trey. Of course. I'll be looking into this when I get home from work. I have to hear this too. I agree this is a grower, love it. It wasn't a grower for me, I loved it the first time I put it on. I haven't been able to find them either, and playing them by ear is almost impossible with this band, but I think I got enough of Deus Ex Machina to form an opinion of it. This band is just fun. I haven't really found myself interested in the lyrics at all. The way they're presented makes them just feel like another instrument. I guess I can agree with that in the sense that they seem to be arranged in a way that best suits their vocal techniques rather than being completely coherent. People have praised their lyrics as genius though, and I personally wouldn't agree with that.